Have you ever sat down to attack a sleeve of Oreos and a bottle of wine and thought, There has to be a more convenient way to consume all these delicious things? The evil geniuses over at FoodBeast did, so they created one hell of a recipe to fix all your problems. 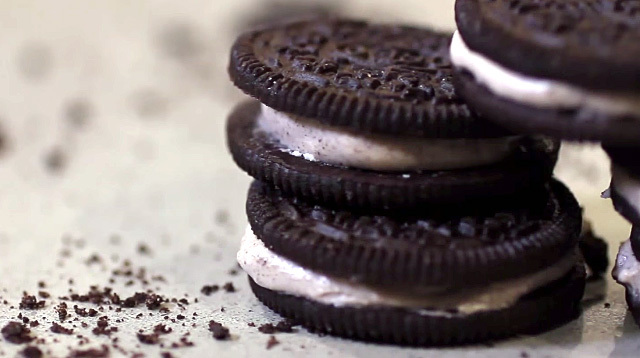 By removing the regular Oreo insides and filling it with new and exciting alcoholic insides (your favorite liquor + pudding), they created a "drunken Oreo." You can watch how it's done in the super-short video above and you can recreate it yourself immediately when you are home from work today.